Moving back to Leicester just under a week ago, I’m finally feeling settled and ready for the semester to officially begin. And, in all honesty, I’ve not really been involved with freshers this time around, in comparison to the manic week that was my first year freshers that is. I think, however dull it may seem to some, I’ve done freshers my way this time around. But what have I actually been up to? Well, primarily I’ve just been sorting out my new place, and loving having a little house to call my own, but I can’t say that it’s been without its issues. For the first few days the shower didn’t work, so I was very grateful to have a bath available (not the most common thing in student housing)! However, one of the bath taps never stopped running and a few dodgy floorboards were thrown in for good measure; suffice to say all the maintenance problems have been dealt with and the world’s supply of water is no longer flowing through the bathroom tap. I’ve discovered some interesting features of the house, including an outside toilet complete with an owl-print toilet seat, and that old fireplaces can become very aesthetically pleasing with a few fairy lights. My own room is now decorated to its full capacity, thanks to a few posters I picked up on campus (the pop-up poster stall is always worth a look if you haven’t been already). Overall in fact, the house is coming together, including a nice TV and that essential student-house need of an internet connection; I think in some ways it’s made me less inclined to leave it, but of course within the first two days of living here I was off again. Earlier this week I went down to Epping, in Essex, for an interview (more on that another time perhaps), whilst also having a tentative explore of central London. Surprisingly this was my first time travelling completely alone, staying over night alone, and even going on the tube, but I believe I took this all in my stride…well, just about. Since Wednesday I’ve just been back and enjoying a bit of down time, after the stress of my interview, and before the craziness of my lectures next week. So, overall, an unconventional but good freshers week. Usually I’d try and spread some advice or at least thoughts on a topic, however, this week I could only really think of one thing: being yourself is more important than following the crowd, although I realise it sounds dreadfully cliche. But the thing is, I could have spent this freshers going out until all hours of the morning, or drinking my way through the week, and yet I didn’t. Of course I’ve had some fun with friends but I’ve done it at my pace, and feel much better for it, feeling far more prepared to start this year right! Henry the houseplant, hoping to live a long and happy life! 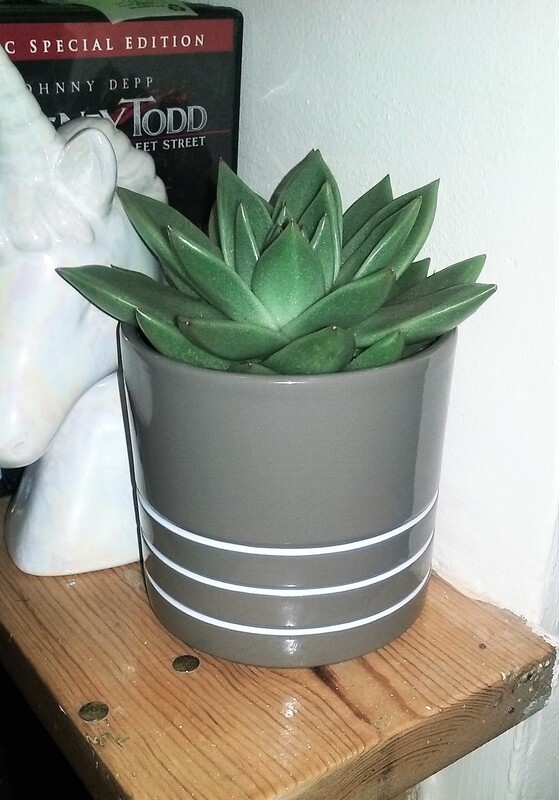 And, for the record, for me, investing in a houseplant was way more worthwhile than a drunken night out…let’s just hope I can look after it properly.